It seems we’re about to come one step closer to putting man (and woman) on Mars. Is this exciting? Of course it is. Nothing fires the imagination quite like the prospect of walking around on a planet other than our own. 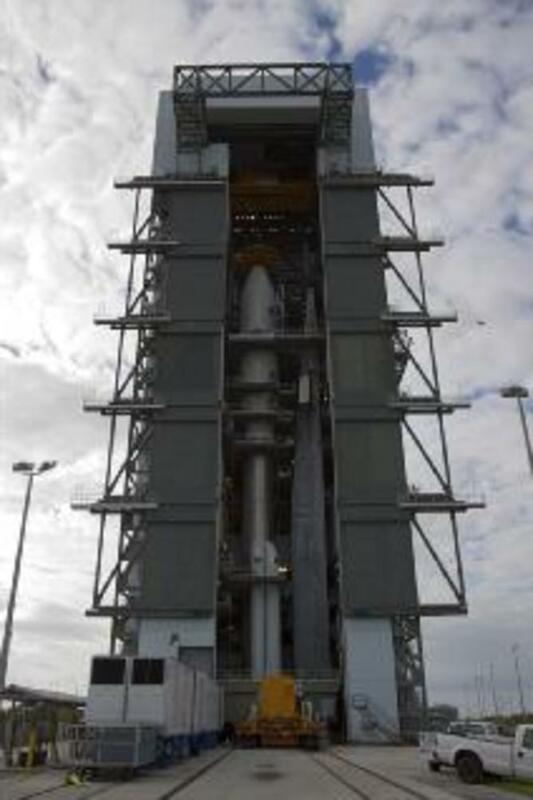 All going well, at 2:02am (AEDT) on Sunday the Mars Science Laboratory will launch from Cape Canaveral in Florida. It’s payload is a remarkable 899 kilogram, six-wheeled Martian rover called Curiosity. The purpose of Curiosity is to determine the habitability of Mars. The mission, lasting one Martian-year (98 Earth weeks), will begin on August 5 next year. It’s a journey of scientific import, of course, but also of much wider human significance. 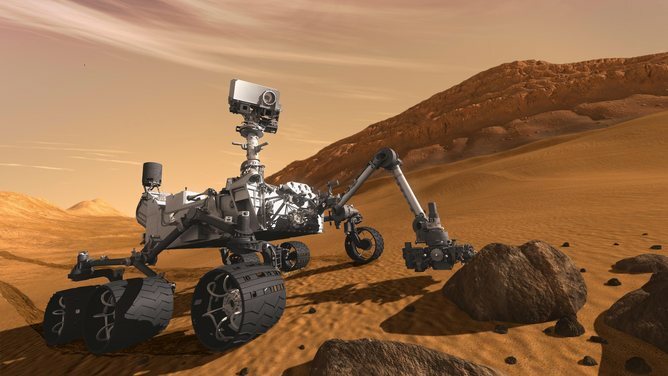 Curiosity will carry out the prospecting stage in a step-by-step program of exploration and reconnaissance, mining evidence for a definitive answer to whether life has ever existed on Mars. 3) A source of energy. The landing site for Curiosity, the Gale Crater, was identified as having mineral evidence of a wet history by both NASA’s Mars Reconnaissance Orbiter and the European Space Agency’s Mars Express. The Gale Crater provides a variety of accessible features for study – including clays and sulfate-rich deposits that are good at latching onto organic chemicals and protecting them from oxidation. There are also features that will shield any organic chemicals from radiation. The natural radiation levels on Mars are higher than on Earth due to the planet’s lack of a screening atmosphere. The crater site offers rocks that have become exposed by recent small-crater impacts. Curiosity will seek out these organic chemicals – the carbon-based building blocks of life. 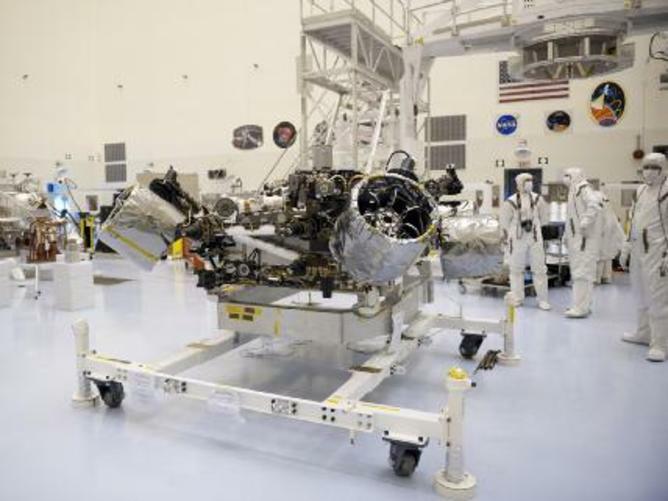 and secondly the Mars Science Laboratory rover Curiosity. The lander enters the Mars atmosphere initially much as the Apollo mission re-entered Earth’s atmosphere: it uses atmospheric braking followed by a parachute descent. Then, at about 1.6km to touchdown, the parachute shell separates. A rocket-powered descent-stage lowers the rover to within 20 meters of the surface. The descent-stage then deploys the rover to touchdown on a “sky-hook” of nylon cords. 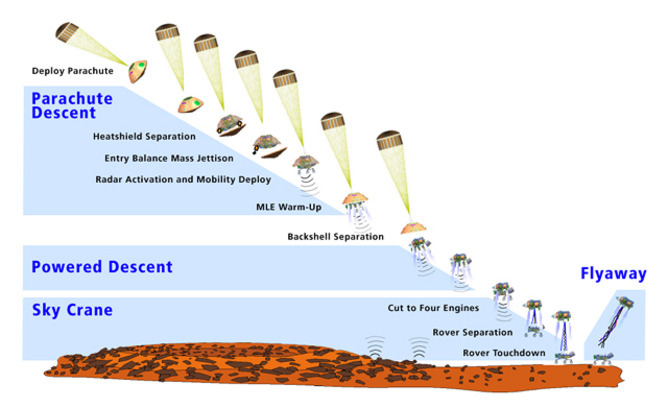 When touchdown is detected the descent-stage then continues, under power, past the rover touchdown area. Then Curiosity, for the first time, lands on its own wheels. It’s then ready to begin characterising the landing site, conduct health checks of various systems and start taking weather measurements. Curiosity waits to be integrated with a rocket-powered descent stage that will lower it to the surface of Mars. Those interested in the descent can enjoy the view from the Mars Descent Imager where there will be full-colour imaging of the ground. 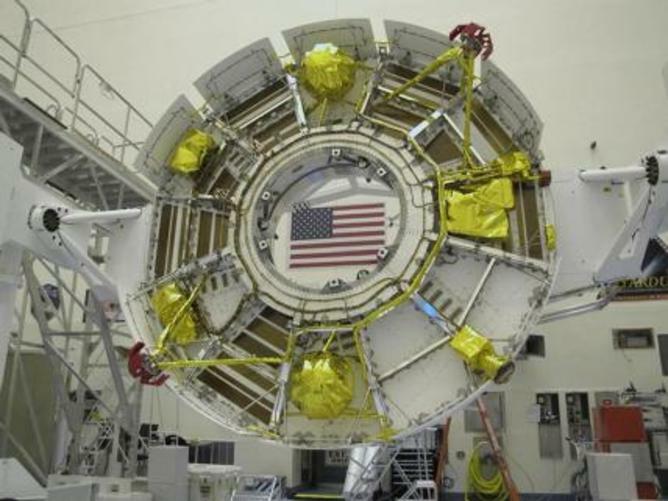 This will provide all wannabe astronauts a real-time experience of riding a spacecraft to a landing on Mars. For me there is special interest in one group of seemingly trivial experiments. Curiosity will record information about daily and seasonal changes in Martian weather. The Spanish Centro de Astrobiología has developed and provided the instruments for this Environmental Monitoring Station. These will provide, for the first time, a comprehensive and integrated picture of the Martian weather patterns; this in turn will provide a way to improve and verify atmosphere modelling of Mars. The full ultra-violet spectrum of radiation will also be measured and this will strengthen our understanding about the global atmosphere of Mars. These are all crucial steps towards the ultimate goal of landing humans on Mars. Many people will remember what they were doing on the day that man landed on the moon. In my case, I raced home from primary school to watch the moon-walk live. As an adult I pursued science – physics – as a profession. Many others, fired by childhood dreams of being an astronaut or inspired by the astronaut program, became scientists and engineers. The space programs that followed did not seem to fire the public imagination to the same degree. The International Space Station, Skylab and Space-shuttle programs were great feats of engineering and diplomacy. Those missions generated significant professional science and engineering interest but did not seem to generate the same levels of public inspiration as the Apollo moon-shots. Still, there continues to be a core following of “space geeks” – as evidenced by the the crowd that watched the final shuttle launch, and those who in coming days will be participating in #NASATweetups and #CSIROTweetups. In September this year NASA announced the development of just such a system. The Space Launch System is designed to ultimately be the launch vehicle for taking astronauts to Mars and possibly its moon, Deimos. There is also a small but growing commercial interest in spaceflight. Virgin Galactic and ShareSpace provide alternative ideas for commercial human spaceflight. This, along with human exploration of Mars, may just be what is required to provide that next inspirational step for mankind. I like to think that Mars exploration will fire a new generation to great dreams and achievements.